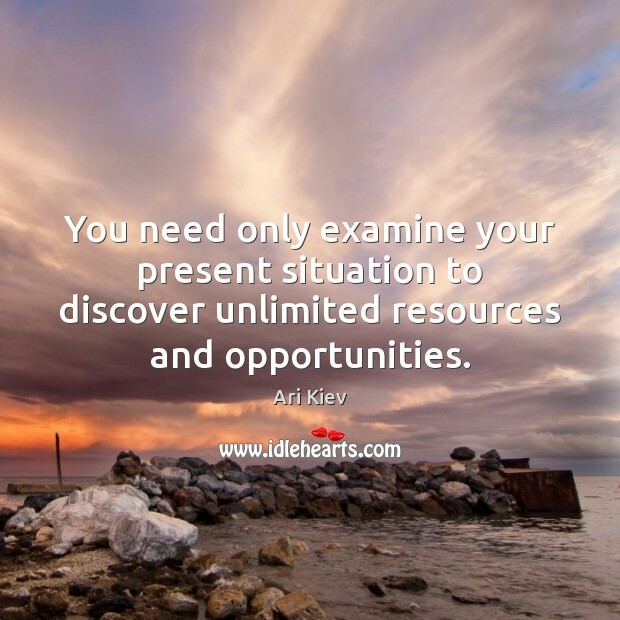 Enjoy the best inspirational, motivational, positive, funny and famous quotes by Ari Kiev. Use words and picture quotations to push forward and inspire you keep going in life! 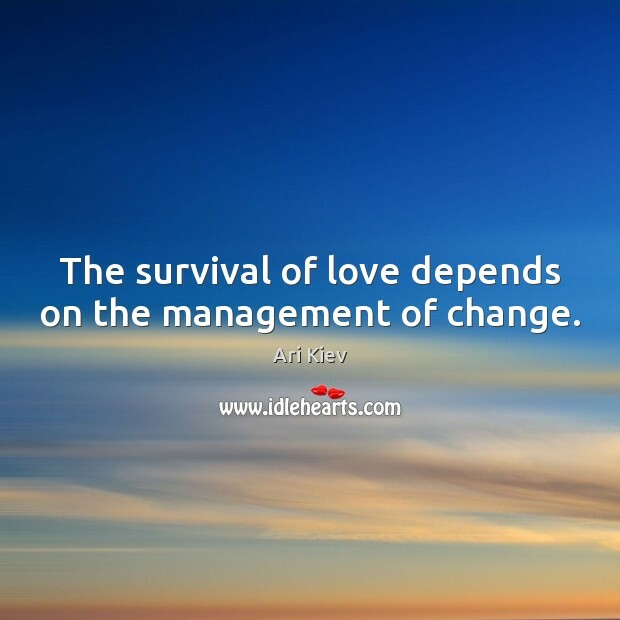 The survival of love depends on the management of change. 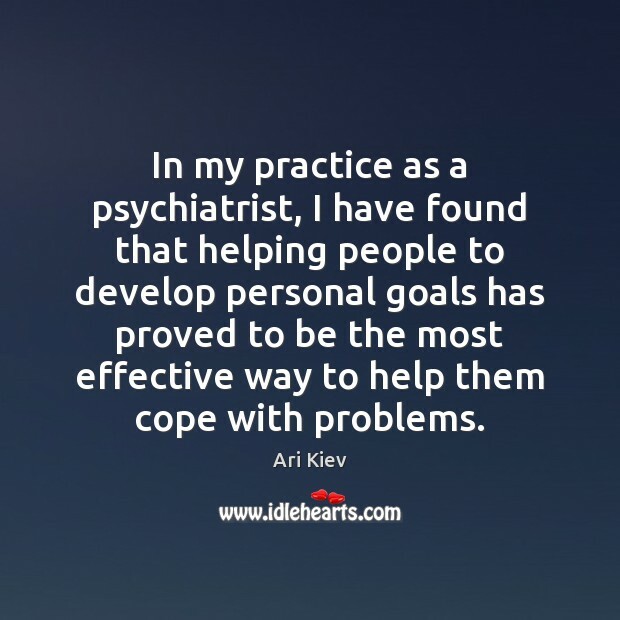 In my practice as a psychiatrist, I have found that helping people to develop personal goals has proved to be the most effective way to help them cope with problems. 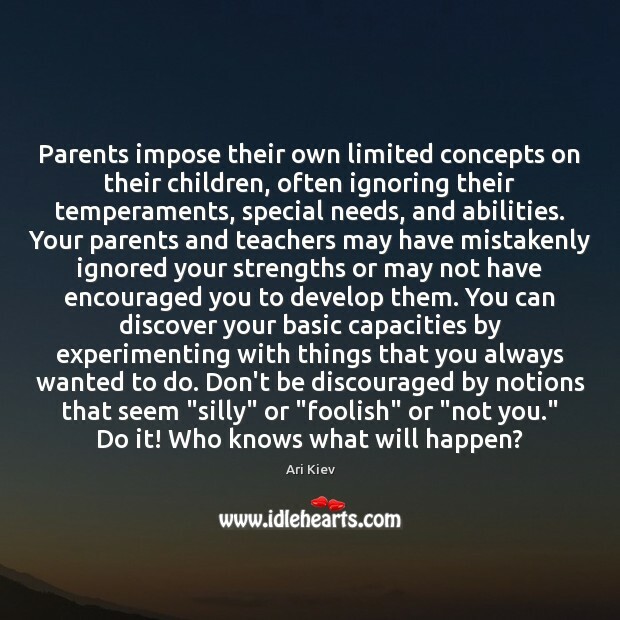 Parents impose their own limited concepts on their children, often ignoring their temperaments, special needs, and abilities. Your parents and teachers may have mistakenly ignored your strengths or may not have encouraged you to develop them. You can discover your basic capacities by experimenting with things that you always wanted to do. Don't be discouraged by notions that seem "silly" or "foolish" or "not you." Do it! Who knows what will happen? 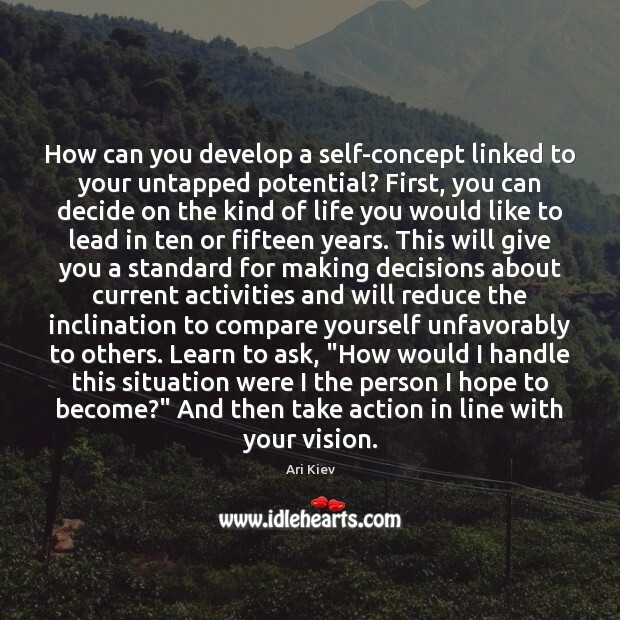 How can you develop a self-concept linked to your untapped potential? First, you can decide on the kind of life you would like to lead in ten or fifteen years. This will give you a standard for making decisions about current activities and will reduce the inclination to compare yourself unfavorably to others. Learn to ask, "How would I handle this situation were I the person I hope to become?" And then take action in line with your vision. 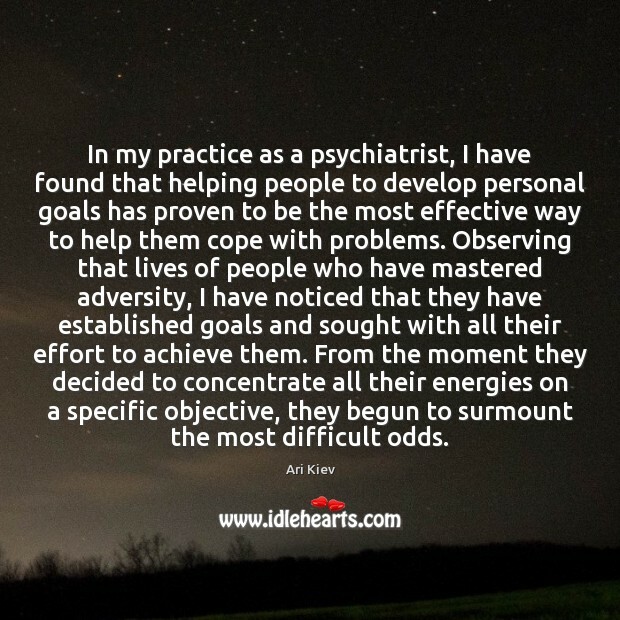 In my practice as a psychiatrist, I have found that helping people to develop personal goals has proven to be the most effective way to help them cope with problems. 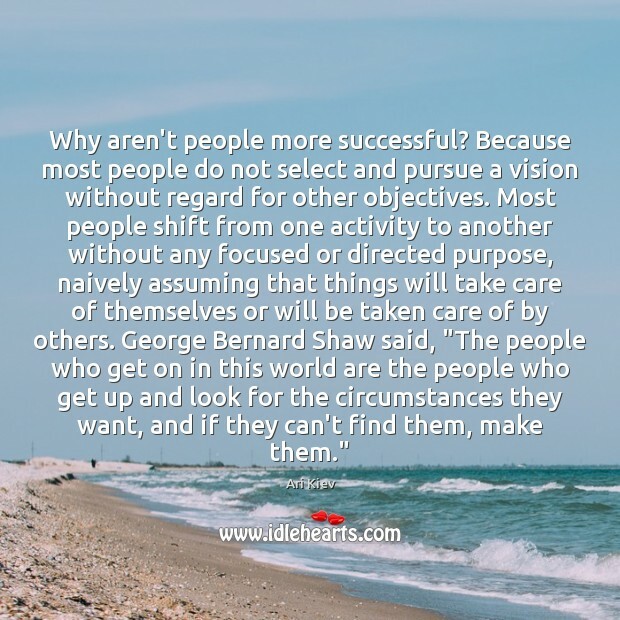 Observing that lives of people who have mastered adversity, I have noticed that they have established goals and sought with all their effort to achieve them. From the moment they decided to concentrate all their energies on a specific objective, they begun to surmount the most difficult odds. 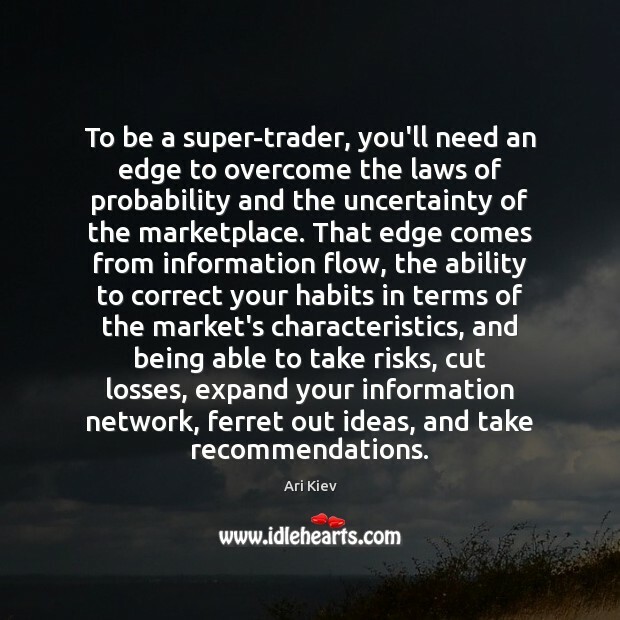 To be a super-trader, you'll need an edge to overcome the laws of probability and the uncertainty of the marketplace. That edge comes from information flow, the ability to correct your habits in terms of the market's characteristics, and being able to take risks, cut losses, expand your information network, ferret out ideas, and take recommendations. 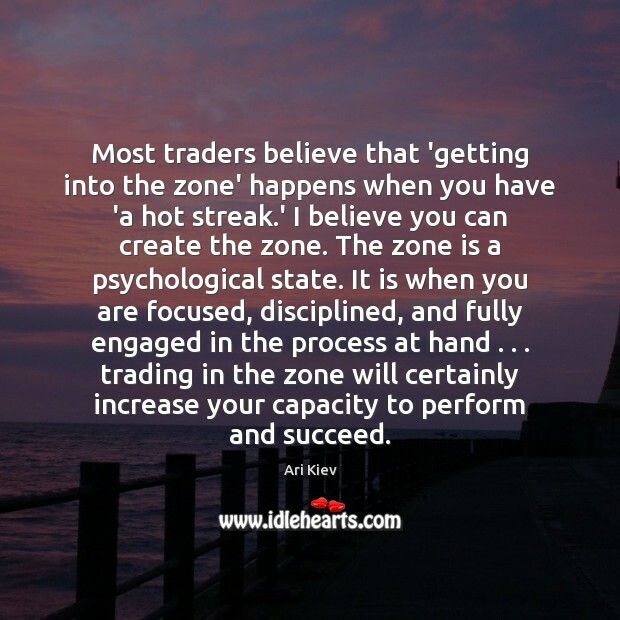 Most traders believe that 'getting into the zone' happens when you have 'a hot streak.' I believe you can create the zone. The zone is a psychological state. It is when you are focused, disciplined, and fully engaged in the process at hand . . . trading in the zone will certainly increase your capacity to perform and succeed. 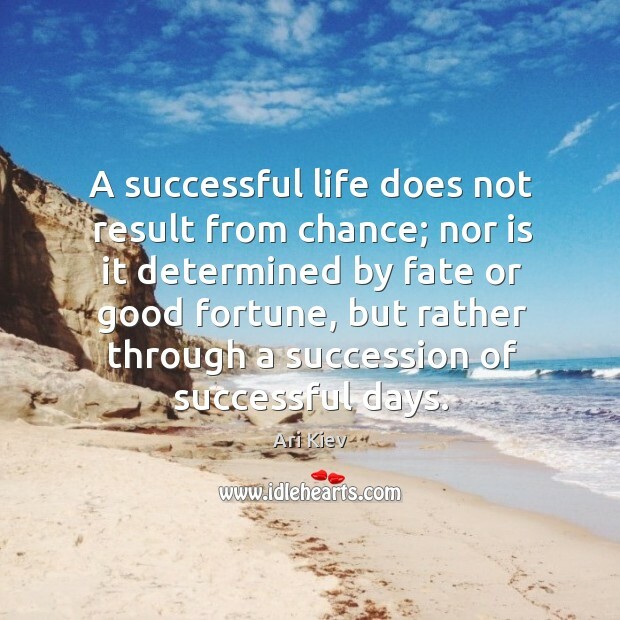 A successful life does not result from chance; nor is it determined by fate or good fortune, but rather through a succession of successful days. 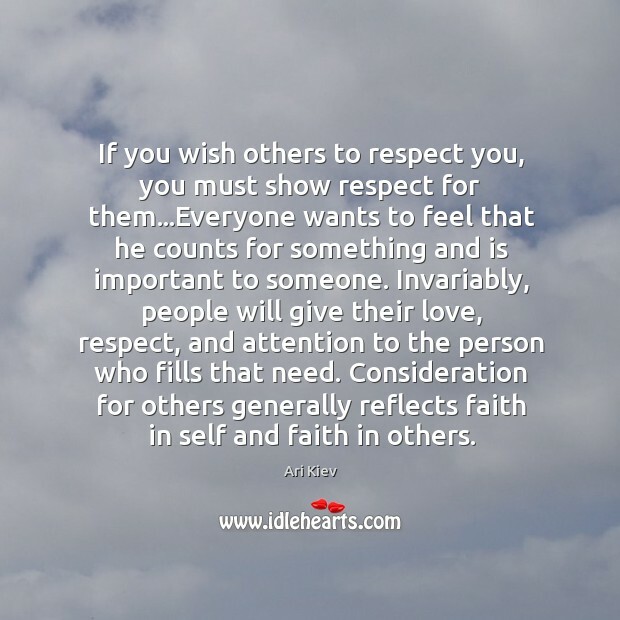 If you wish others to respect you, you must show respect for them...Everyone wants to feel that he counts for something and is important to someone. Invariably, people will give their love, respect, and attention to the person who fills that need. Consideration for others generally reflects faith in self and faith in others.